28.2.12 Warmest Tuesday Greetings, my fascist brethren! Last night’s MNFC turned into a kind of Westminster Story Time, as we all gathered first round Jess’ Massive Telly™ and then around Helen’s armchair to learn more about the ins and outs of politics and the Department for International Development. Jess selected In The Loop for our viewing pleasure, and fortunately for us managed to break the curse that has prevented her from watching it all the way through in the past. Before the film Jess deployed her secret weapon in the kitchen – a Paul – and served up some yummy chilli con carne followed by delicious cake. Dinner passed without Max the crazy ninja cat making any moves, but Helen and her tights fell foul of Max’s claws half way through the film; Matt breathed a sigh of relief! In The Loop is the big screen outing of The Thick of It , the BBC’s sharp satire on modern politics and spin which takes us into a world of inept politicians, civil servants and the most creative swearing since…since…a very creative swear-y thing from the past. 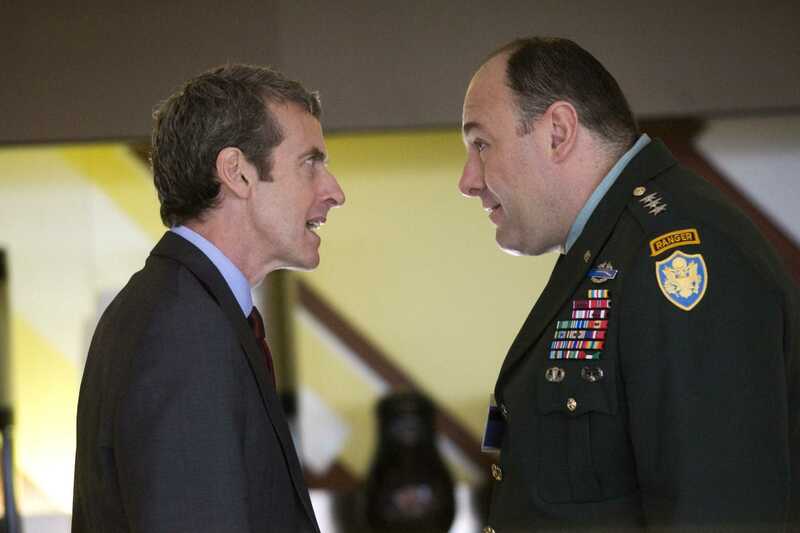 Peter Capaldi reprises his small screen role as the notorious spin doctor, Malcolm Tucker, and spends the film terrorising the mild and slightly inept Minister for International Development and his aide as played by Tom Hollander and Chris Addison. The minister gets caught between US and UK factions for and against a war, and the saga takes him from London to Washington, the UN and … Nottingham! Throw in Alan Partridge, Tony Soprano and that girl from My Girl and you’ve got all the ingredients for a cracking comedy. After the film Helen gave us the DFID insider’s perspective, and revealed a terrifying world in which government ministers’ behaviour is determined by inexperienced twenty-somethings – or ‘foetus-faces’ – while civil servants try and direct them into not-too-annoying policy directions. This spurred us on to some serious political chin-stroking, but we reined ourselves in by also wondering which accents are best for swearing, and pointing out sightings of Peter Capaldi in Crouch End. Peter Capaldi acted alongside John Malkovich and Glenn Close in Dangerous Liaisons. For those of you who are disappointed that I didn’t elect to write this review in the style of Malcolm Tucker, you can console yourselves with some of his choicest sayings from the film here, or make your own Malcolm Tucker poster here, or even become his friend on Facebook. If you want to go even further and basically become Malcolm Tucker, those of you with wanky clever iPhones can download an ‘app’. For MNFC-ers who can’t be doing with all this swearing and nastiness, there is always this alternative In The Loop I came across during my extensive Googling. I myself liked some of the more tame quotes from the film, such as Malcolm calling the minister ‘a Nazi Julie Andrews’, and Toby describing something as ‘difficult difficult lemon difficult’. Anyway, the next session will be on 26th March and will be hosted by Comrade Love. But between now and then we have the FAFTAs! I promise some info will be coming your way very soon, so watch this space. WHAT THE F**K DO YOU THINK THIS IS? A S**TTING DEMOCRACY? F**K OFF WITH YOUR OXBRIDGE NOTIONS OF CIVILISED SOCIETY, YOU BUNCH OF JEREMY HUNTS, OR I’LL HOLEPUNCH YOUR FACEs.